It has a distinguishing feature of having moderate and pleasant weather throughout the year irrespective of other regions of Pakistan. As Karachi is located on a coast, it is home to many beaches like Clifton Beach, French Beach, Sandspit Beach and Manora Island. Tourists used to go there and enjoy the beauty of these beaches. 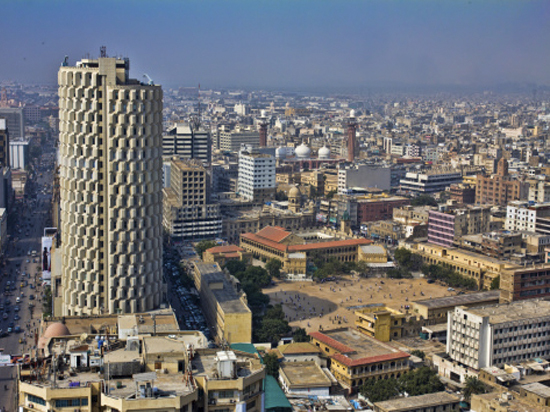 Karachi is the most developed city in Pakistan and is known as Beta- World city. The city also possess many cultural sites for tourists that includes Mohatta Palace, National Museum of Pakistan, Empress Market, Frere Hall, Jehangir Kothari Parade, Karachi Municipal Corporation Building and the Hindu Gymkhana.This city has honor of occupying the tomb of Muhammad Ali Jinnah, the founder of Pakistan. Karachi possess all modern facilities of life, business centers, shoping malls, and latest infrastructure. Karachi has a large number of hotels that provide finest hospitality and meet all needs of tourists. Tourists can go there and enjoy luxirious living. Most requested hotels in Karachi are Marriot Hotel Karachi , Sheraton Karachi Hotel, Awari Towers Hotel Karachi and PC Hotel Karachi. Sheraton Karachi Hotel, is the only internationally managed five-star hotel in Pakistan.Sheraton Karachi Hotel boasts an earthquake-proof building with shatterproof glass and provide best luxury living to its guests.. Some Hotels in Karachi like Airport hotel Karachi, Beach Luxury Hotel Karachi, Embassy Inn Hotel Karachi, Hotel Mehran Karachi are cheap and suitable for budget of all travellers. These Karachi Hotels are equipped with all needs of travellers. So waste no time and book cheap hotels in Karachi to enjoy the beauty of the cultural city.